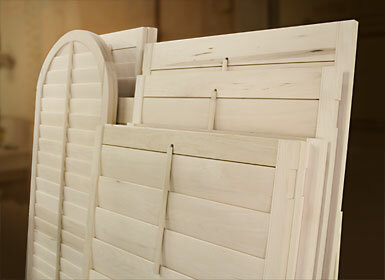 Woodmart Shutter has been manufacturing the finest quality wood shutters since 1956. 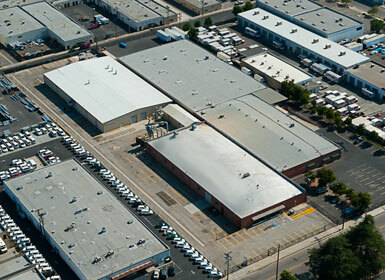 Our 48,000 square foot plant is located in Van Nuys, CA. We are a fully integrated fabricator that is capable of producing custom shutters for the professional shutter retailers that require the most exacting specifications. Most importantly, our shutters are manufactured in the USA. Our wood of choice for interior wooden shutters is Basswood. Coming from the American Linden Tree, (Tilia Americans) Basswood is classified as a hardwood by the United States Department of Agriculture, Forest Service. It is a deciduous tree which losses its leaves in winter and goes dormant. Our wood is sourced from Wisconsin and Michigan where the winters are longer and the growing season is shorter. This produces a denser wood than Southern grown Basswood. Our wood comes from state certified forest lands that comply with FSI and FSC standards. According to The United States Department of Agriculture; "Wood Handbook: Wood an Engineering Material" www.fpl.fs.fed.us "Basswood is light in weight, has fine, even texture, is straight grained and easy to work with tools. Basswood seldom warps in use." To learn more about warping, click here. Our wood of choice for exterior shutters is Incense Cedar. According to The United States Department of Agriculture; "Wood Handbook: Wood an Engineering Material" www.fpl.fs.fed.us "Because of its resistance to decay, Incense-Cedar is well suited for fence posts. Other products are railroad crossties, poles and split shingles." "It has small shrinkage, and is easy to season with little checking or warping. 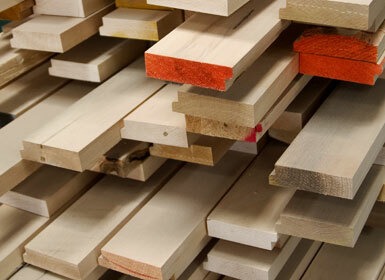 When we receive our lumber it is sorted, planed, ripped and moulded into the various louver profiles, stiles, rails, tiltrods and hanging strips needed. We mill all of our own components giving us complete quality control. 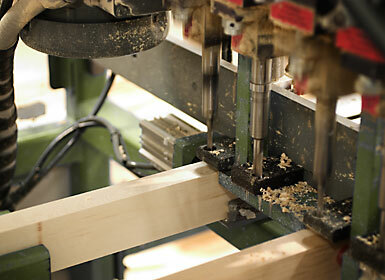 All parts are then sanded in raw wood prior to cutting for a specific order. 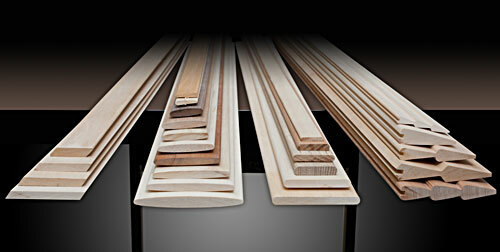 We mill more louver profiles for you to choose from than anyone else. We mill traditional 1 1/4 louvers, 1 7/8, 2 1/2, 3, 3 1/2, 4, 4 1/2, 5 1/2 in elliptical, flat or bevel faced. If your customer wants it, we can make it. We make movable louver, fixed louvered and false louvered panels in thicknesses from 3/4 inch to 2 1/2 inch including the popular 1 1/8 inch thick. When we receive your order, our order entry team produces the shop documents required to cut the individual components for you order. Wood is selected based upon finish, stiles and rails are drilled with CNC (computer numerically controlled) precision to insure tolerances are precise and each panel is assembled and clamped to insure squareness. If the shutter is to have a factory finish applied it moves to our painting or staining department. The first coat in the process is just as important as the final coat. In the case of paints, the primer is robotically applied insuring uniform coverage. This uniform coverage from top to bottom is necessary for a smooth even final finish. Each panel is hand sanded prior to applying multiple coats of lacquer tinted to either one of our standard colors or custom mixed to match your customers décor. Manufactured shutters to be stained are dipped in our stain tank to insure 100% coverage then hand wiped. Much like detailing a fine automobile. Lacquer sanding sealer is applied to provide body and smoothness, then hand sanded prior to the final coats of clear lacquer. Your shutters are then check thoroughly prior to boxing and shipping. Our decades of experience in wood shutter manufacturing will provide you professional service and support. You can specialize on retailing; we will concentrate on manufacturing to your specifications. We can design and manufacture a shutter for you that you will be proud to put your name on.